Do your products dictate which box sizes and void fill you have to buy? Then look no further – Korrvu Packaging could be the answer! Korrvu Packaging could enable you to use one box size, where you may currently have stocked several. Allow Korrvu inserts to eliminate the need for additional void filling or cushioning. One size of Korrvu inserts could cater for many of your products. Korrvu really can be a case of one size fits all. Korrvu® packaging is a dynamic packaging product that uses a strong, highly-resilient low-slip film to surround your products, protecting them from shock and vibration by ensuring your product holds centre place inside the box. Showcases Your Product’s Appearance – Korrvu® packaging’s transparent film enables your package to serve as both a protective shipper and an effective display merchandiser. Versatile and Flexible – The resilient range of films will conform to a variety of shapes. Each design can be used for a variety of similar shapes reducing your packaging inventory. Easy to Store – Korrvu® packaging stores flat, reducing storage and warehouse space requirements. Environmentally Sound – Contains at least 30% recycled content and is RESY approved for recycling in the UK. Synergy Packaging can offer 12 Standard Korrvu pack sizes and will work with you to provide a tailor made solution if required. Please give one of our team of experts a call who can present Korrvu to you in greater detail and advise prices. More commonly referred to as a “Cardboard Box”, a corrugated carton is a paper based outer container which is made up of a combination of flat and fluted layers. There are many types of corrugated board, each with different flute sizes, profiles and paper types, designed to create packaging with different characteristics and performances. Corrugated board is then cut and folded into an infinite variety of shape and sizes to become corrugated cartons. Corrugated is a high performance packaging material designed to pack, protect and promote your products. So What Types of Cartons Can We Offer? 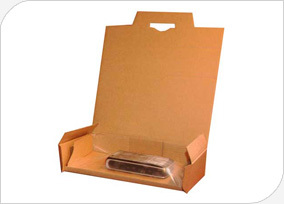 Generally, corrugated cartons are supplied as a brown or white carton, with or without print. But corrugated can be so much more. Synergy Packaging’s team of experts will work with you to provide any solution, whether that’s a waterproof box, moisture resistance, fully dyed coloured or printed, temperature controlled systems or even boxes that can be put in the oven, The possibilities are endless! So give us a call and one of our experts will be on hand to assist you. Made to Order or Standard Stock Boxes? Synergy Packaging can supply any box made to measure, or we carry a large number of stock boxes available to deliver within 72hrs anywhere within the UK Mainland – Orders over £100 will be delivered Free of Charge! Choose from any of our standard Brown Boxes, bundled and delivered within 72hrs. 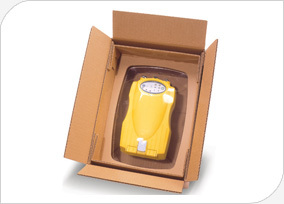 *All Carton prices include delivery to the UK Mainland with a Minimum Order Spend of £100. If you require a bespoke box tailored to your own specifications then please call and speak with one of our expert team.